Join us at Scallywags Bar at 11 St. Clair Ave. West for a monster match. Meet us on the rooftop patio and cheer on the Boys in Brown. 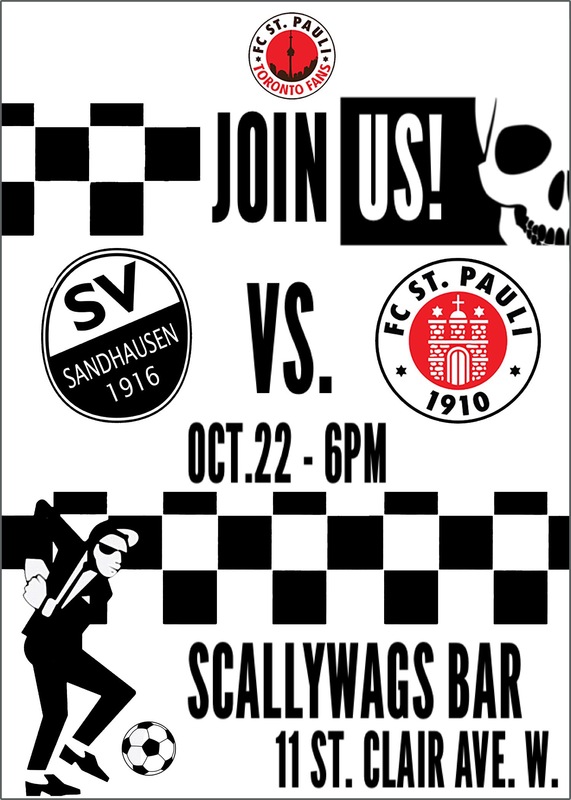 Forza Sankt Pauli!